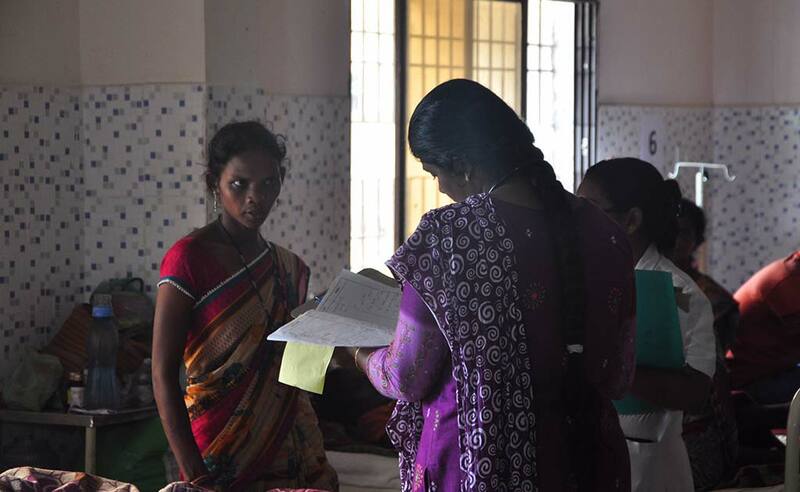 Tribal women patients in the Sukma hospital. Anaemia is widespread in Bastar region, especially among the women. Bastar, Chhattisgarh: In Chhattisgarh’s Sukma town, a brand new 100-bed hospital stands as a proof of the healthcare crisis in conflict-ridden Bastar region. The new building was made operational two months ago, but marred by acute shortage of doctors, even the most basic facilities are unavailable. The hospital has one X-ray machine but no radiologist. There’s no CT Scan, ultrasound or MRI facility in the hospital. The hospital has nine general practitioners, one pathologist, one rural medical assistant and two specialists who come in twice a week, to look after its admitted patients and Out-Patient Department (OPD). The shortage of doctors has led to a crisis so acute that Dr Ayyaj Tamboli, the district collector of neighbouring Bijapur, had to put an appeal on the social media that was widely circulated, calling for radiologists, anesthetists and paediatricians. Patients clamour for the attention of Dr Jyothi Puthran, one of the two specialists who spend two days a week at the Sukma hospital. The remaining time, she can be found in the district hospital of Dantewada, which is equally badly hit by violence. Dr Jyoti Puthran, one of two specialists who visits the Sukma hospital twice a week to tend to patients. The hospital has an acute shortage of doctors. Originally a Mumbai resident, Dr Puthran is a government doctor and has been in the Bastar region for the last five months. “It is not an easy choice to make,” she says, when asked why other doctors aren’t following her example and coming to parts of the country where healthcare suffers the most. 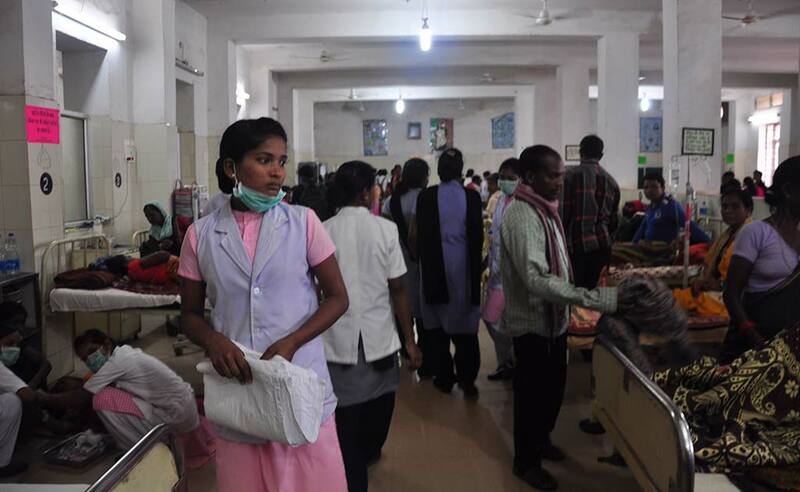 The overflowing general ward in the Maharani Medical College and Hospital, Jagdalpur. This is Bastar region’s biggest hospital. R Prasanna, Chhattisgarh’s Director of Health Services tells NDTV that the government is now looking for ways to incentivize private doctors with salaries up to two lakhs a month and every expense taken care of. “A part of the salary is funded from National Health Mission and rest by the district collector under their minimum development fund. By this arrangement, we were able to get for 4-5 specialist doctors for Bijapur and Sukma district” he says. Activists like Sulakshana Nandi who works for the Jan Swasthya Abhiyan in Raipur says the government must do more to bring services closer to the people, especially in conflict areas where the crisis of access is so severe. In remote, violence-hit villages, Mr Prasanna says they are looking at putting in place the systems where patients can be brought to the hospitals via mobile medical units, as it would be impossible to get doctors in those areas. Primary Health Centre in the Jagdalpur district. NDTV is told the Rural Medical Assistant who runs it left at noon. They are supposed to be available to the locals until 4 pm. Many of the primary health centres in the region are manned by the rural medical assistant (a post created by the state government to accommodate graduates of a now scrapped three-year medical programme started under previous chief minister Ajit Jogi’s tenure) and can barely provide the basic facilities if they remain open. 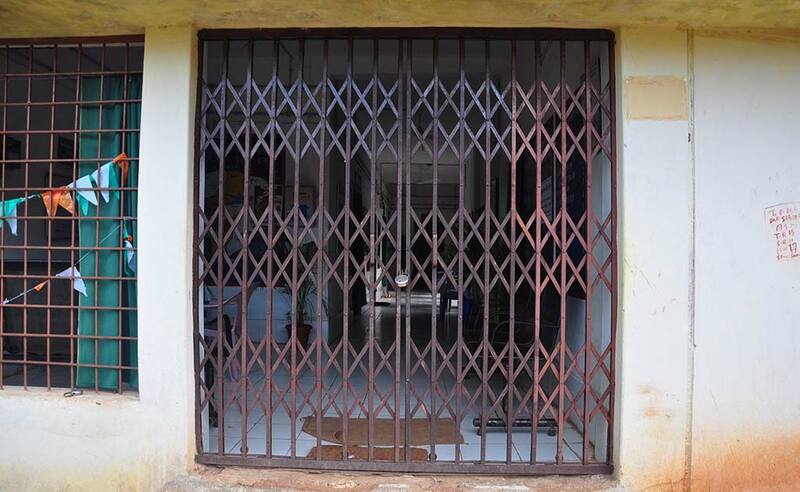 Chhattisgarh has a sanctioned strength of around 1,200 specialists for the entire state but only about 250 posts are filled, mostly outside Bastar’s rural, tribal and violence hit areas- devastating an already poor healthcare infrastructure. 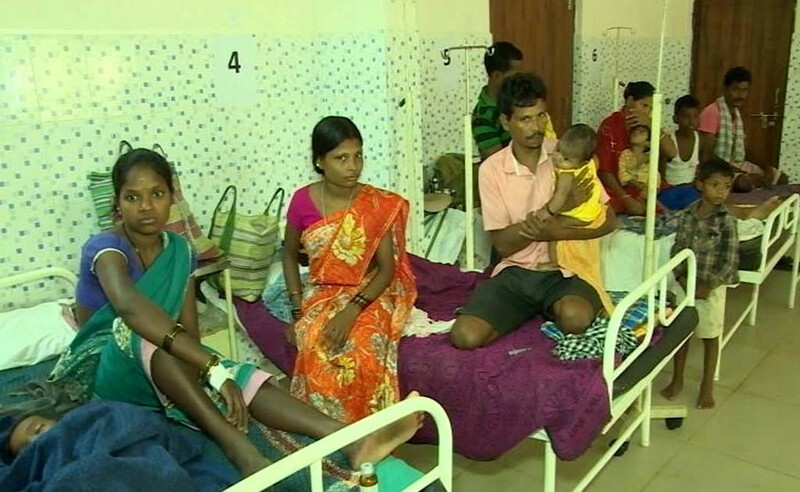 Critical cases from the Sukma hospital are referred either to Malkangiri in Odisha, 30 km away, Visakhapatnam, nearly 300 km away, or to the overflowing Maharani Medical College and Hospital- the biggest facility in Bastar. New hospitals, some funded by the state, and some through public private partnership with the National Mineral Development Corporation (NMDC) are being set up, but will take time. They too are likely to face the crisis of staff and doctors. 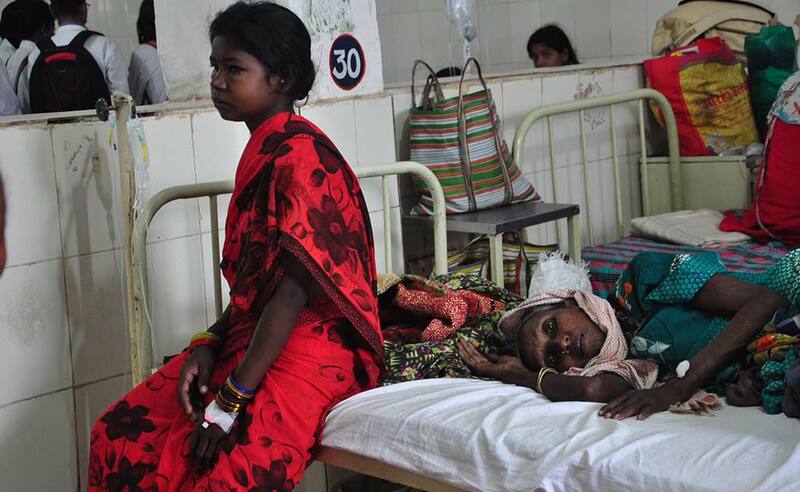 Two patients to a bed is not uncommon in the general ward at the Maharani Medical College in Jagdalpur. In a conflict that’s rooted in a fight for natural resources between the state and tribal populations who live off the land; the government has often talked about winning the Naxal war by using a two-pronged approach: security, that tackles the violence with the deployment of police and paramilitary forces which have been accused of the worst kinds of human rights violations, and a development agenda that on paper at least, claims to be providing healthcare, education and employment to some of India’s poorest citizens. If the former strategy is ridden with controversy and an ideological divide, the latter is suffering from a lack of commitment and results on the ground. Mr Prasanna tells NDTV that things will get better in the next few months as private doctors are being attracted to the incentives. The ones caught in the crosshairs of a violent conflict can only hope that their lives and their health will improve with the doctors’ promised arrival.